Tim Stanzel is an independent composer and music producer from Berlin. He writes music for film and television productions, product and brand advertising as well as all kinds of audiovisual projects. In July 2018, he commissioned Sebastian Klammer Graphic Design Berlin to create a new web design for his website which has become outdated both from a design standpoint as well as technologically. 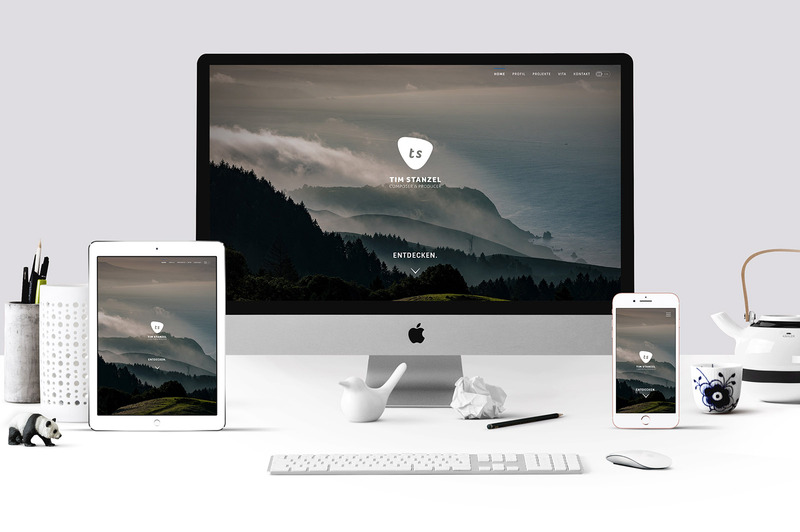 It was to be replaced by a sleek, contemporary, easy to maintain website. Together with Tim Stanzel, Sebastian Klammer Graphic Design Berlin planned the web design of the new website as well as its structure. In several stages, a coherent, custom-tailored concept was created in which the ideas and wishes of the customer were incorporated at any time. In addition to the design and implementation of the website in WordPress Sebastian Klammer Graphic Design Berlin also took over the creation of the text content and their translation into English. 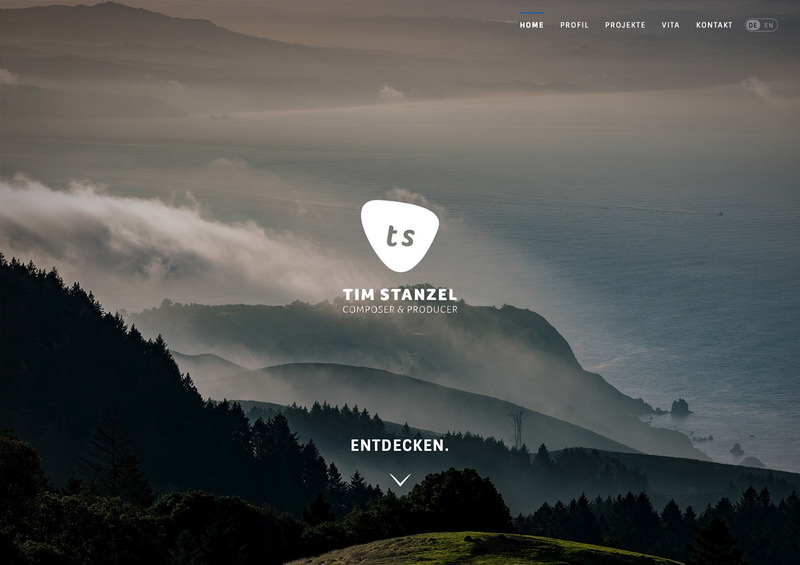 The new webdesign for Tim Stanzel went online in August 2018.